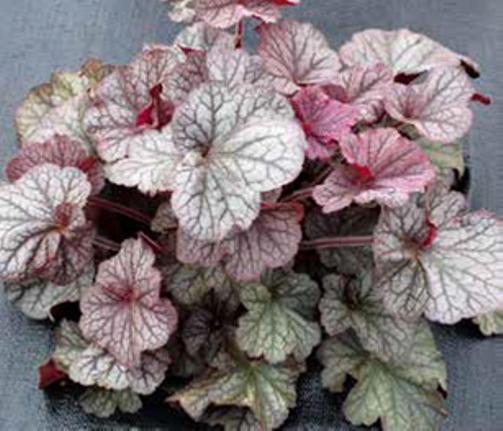 Heuchera 'Northern Exposure Silver'. 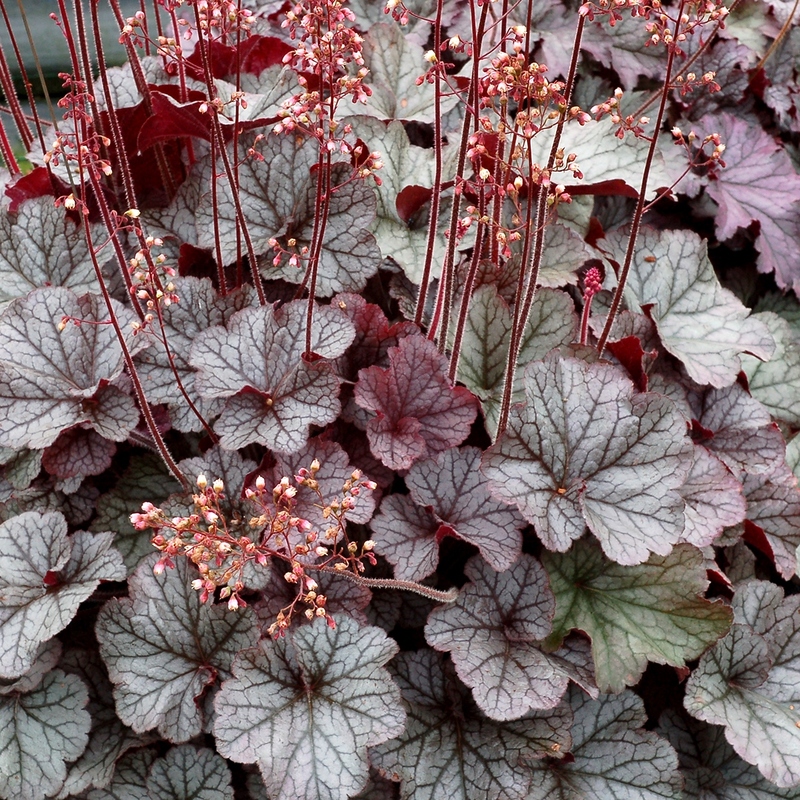 A great landscape plant from Heuchera richardsonii breeding (making it more cold tolerant). NORTHERN EXPOSURE™ Silver forms a dense, rounded mound with burgundy-silver to silver leaves. A strong grower. Excellent rust resistance. PPAF. MATURE HEIGHT: Foliage 13". In bloom 16".